This holiday season, Twitter fans can help guarantee a $1 million donation for the LiveStrong Foundation from actor Drew Carey. What’s the catch? 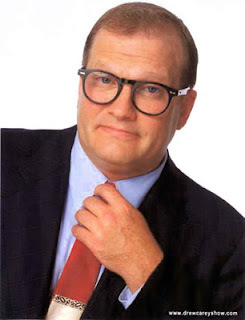 Drew Carey must reach 1,000,000 followers on his own Twitter account (@drewfromtv) by midnight on December 31st. This quirky fundraising scheme began with another Drew – cancer survivor Drew Olanoff - who happens to be the owner of an enviable twitter name, @drew. Drew Olanoff decided to auction this rare twitter user name and donate the profits. Drew Carey, host of “The Price is Right,” got wind of the good-willed auction and bid on the name. He eventually raised his donation challenge to a $1 million promise if he reaches the same number of followers on his own account. The donation will be prorated, so for every new follower, $1.00 will be donated to the LiveStrong Foundation, up to $1 million. Learn more about the story at CNN, or check on @drewfromTV’s progress here.